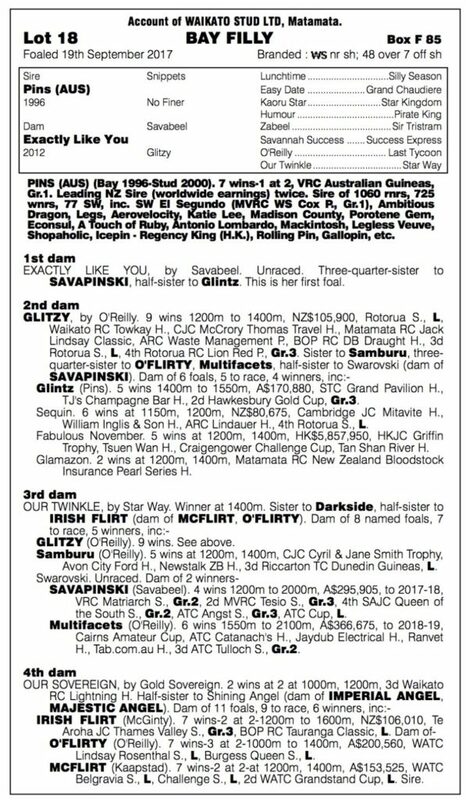 A filly by champion sire Pins (Snippet), sire of 11 individual Group One winners, 75 stakes winners, and a phenomenal attribute to Waikato Stud and the New Zealand breeding industry. 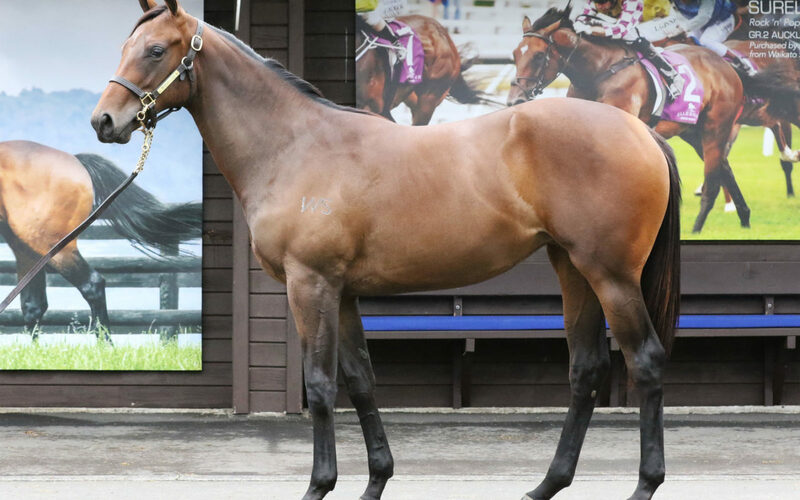 She is out of a young mare by four time champion sire Savabeel. Twice, Pins was NZ leading sire for global progeny earnings and sire of the incredible galloper Ambitious Dragon. Ambitious Dragon won 13 races, including six Group One, the equivalent of NZ$10.9 million in prize money and twice named Hong Kong Horse of the Year. Grand-dam Glitzy (O’Reilly) was a stakes winner among nine victories from 1200m – 1400m.